My Entertainment World is a not-for-profit organization that uses the Patreon program to support our incredible writing staff. 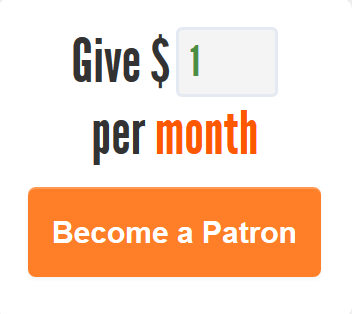 For as little as $1 a month, you can become a patron by visiting our Patreon Page and making a pledge. We have all sort of great rewards available from advertising discounts to requesting custom content to co-hosting a podcast with one of our editors or attending an opening with one of our theatre critics. Your donation will be put directly to work in ensuring we continue to bring you the best possible content with 90% of Patreon revenue every month going directly into the hands of the writers who contributed to the previous month’s coverage (the other 10% covers domain, hosting and other maintenance costs). The support of our readers means everything to us but it’s our amazing patrons who keep the site alive. If you would prefer to make a one-time donation, you can do so by clicking HERE.